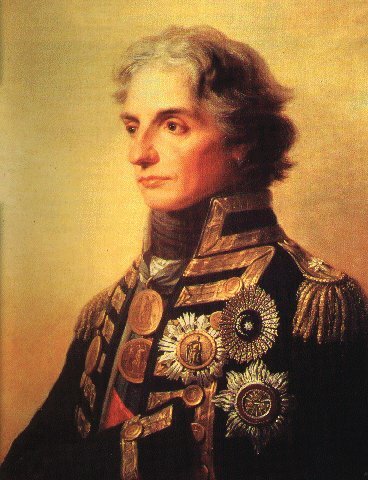 Portrait of Nelson painted by the German artist F.G. Fuger. To remember the most spectacular officer in the age of fighting ships-of-the-line, Horatio Nelson died at Trafalgar aged 47 years as his fleet defeated the combined ships of France and Spain. – Doctor John Scott, Private Secretary to Lord Nelson. 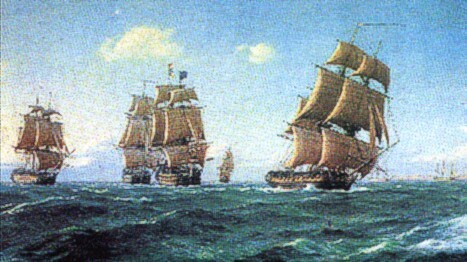 The Nelson Society is run by enthusiasts to promote interest in and appreciation of the character and life of Admiral Lord Nelson, it has no headquarters or administrative staff and conducts its activities through an elected committee of members. You can pay for your membership by Cheque, Paypal or Bank Transfer. For administrative convenience it would be appreciated if UK members would pay for their membership by standing order. Please complete your standing order by printing off the form from this link STANDING ORDER MANDATE 2020 and then sending it to your bank. Thank you. Gift Aid is a UK Government scheme which supports charities by allowing them to claim back tax paid by donors. If you are a UK tax payer your completion and return of a declaration it will enable us to recover tax (currently 20p for every £1 you pay) on your donations to the Society. The only restriction is that you must have paid as much tax as we reclaim. Our Constitution (PDF opens in new tab/window) is also available. If you have any queries then please contact The Membership Secretary by email at memsecretary@nelson-society.com or by post at the address shown above.